Any license plate collector out there? Like philately, the hobby of license collection has grown and gained many followers worldwide. However, the hobby is only considered recent here in the Philippines. With almost no local collectors, most vintage Philippine license plates found during the '80s until the '90s ended up in the hands of foreign hobbyists. Those from the '30s until the mid-'70s are considered very rare items and are now very expensive to acquire, while plates from 1977 onward are currently for sale at thrift shops and at online exchange sites. 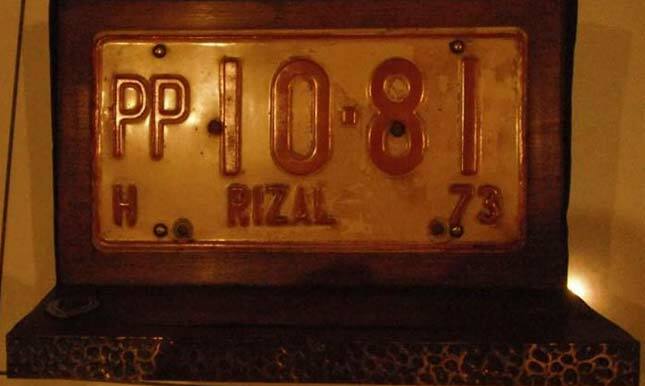 To give you an idea, a rare dilapidated 1934 issue license plate was sold for P3,500 in 2012. Like all hobbies, the most coveted items are the rarest. At the top of the list are the protocol plates issued to elected or appointed government officials (President, Senator, etc.). Second are special license plates issued to National Artists/Scientists. Third are the "A" (agent) or 'dealer' license plates issued to manufacturers and distributors back then. 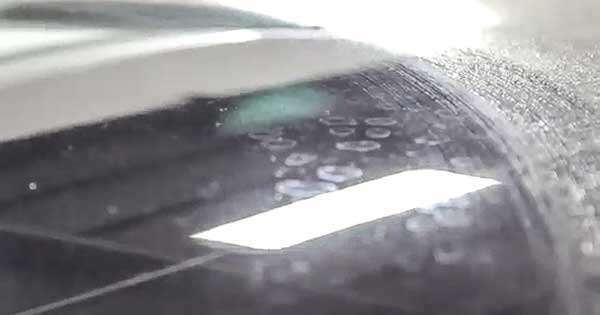 Fourth are temporary plates issued to new cars back in the day; a precursor to conduction stickers. Last in line are the regular license plates issued to public and private operators. My interest in collecting plates began after I started driving in 1976. I made it a point to look for license plates in every province I visited. Most of the plates I collected before were asked for or nahingi lang. I got my 1971 Palawan license plates during my visit to Puerto Princesa in 1982, my 1921 license plate in San Miguel, Bulacan, in 1984, and my 1978 dealer plate in Bigaa, Bulacan, in 1988. 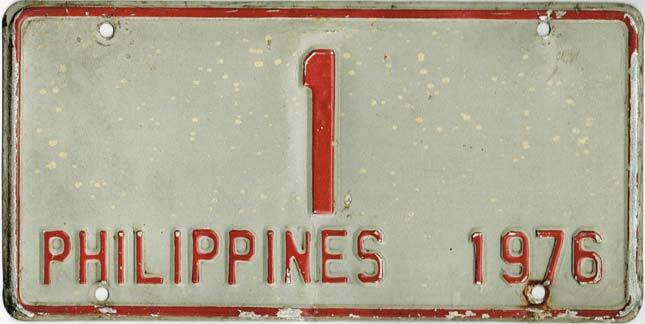 Owning a coveted license plate number "1", issued only to Philippine presidents, was next to impossible for a civilian with no connection to the Executive Branch. The closest I came to owning one was when a friend, a car painter by profession, was commissioned to work on the car of a former Malacanang Palace employee in 1989. That employee turned out to be one of President Marcos’ barbers. He brought home the 1976 presidential plates as souvenir items after he was terminated due to the 1986 People Power Revolt. Knowing that I was into license-plate collecting, my friend convinced him show it to me. 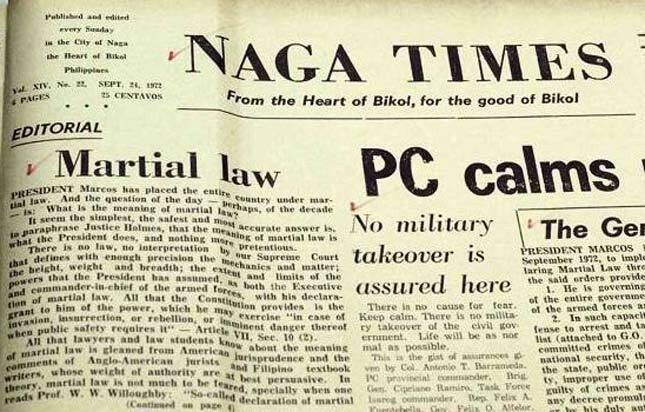 The photo you see above is the 1 plate issued to President Marcos in 1976, the fourth year of martial law. Another martial law-era license plate worth mentioning is the one issued to former Philippine Constabulary Chief General Fidel V. Ramos. Instead of being issued a regular license plate, General Ramos specified the number combination "10-81" on his plates. 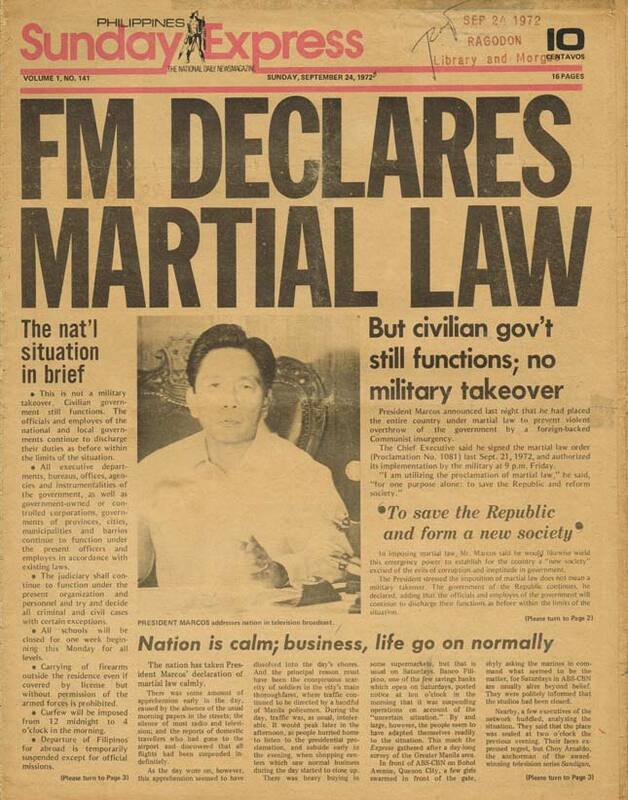 1081 is the proclamation that put the entire nation in a state of martial law from September 21, 1972 to January 17, 1981. The aforementioned license plate is presently exhibited at the Philippine National Police (PNP) Museum at Camp Crame, Quezon City. Anyone else collecting license plates out there?